A 1988 photograph of Gregory Hines made into a stamp for the Black Heritage series. Hines, who was known for his unique style of tap dancing, won a Tony Award in 1992 for "Jelly's Last Jam." The U.S. 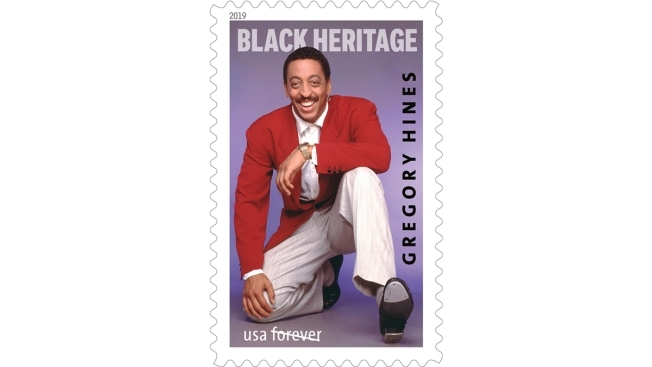 Postal Service is honoring entertainer Gregory Hines with a Black Heritage Series stamp. Acting chief postal inspector Gary Barksdale is hosting the first day of issue ceremony Monday at the Peter Norton Symphony Space in New York. Hines, who was known for his unique style of tap dancing, won a Tony Award in 1992 for "Jelly's Last Jam." He died of cancer at age 57 in 2003.